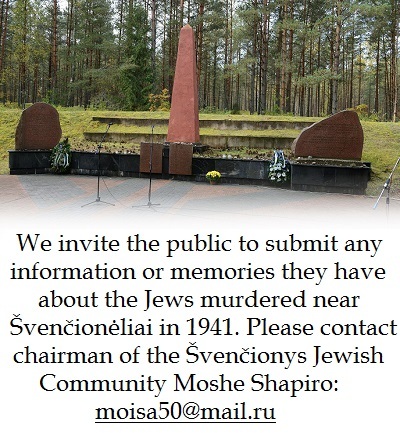 The Lithuanian Jewish Community for many years now has been posing the question: does Lithuania even know and is she able to name her true heroes? As we begin to celebrate 100 years since the founding of the Lithuanian Republic and look back over all the people who contributed, we cannot forget the noble Lithuanian Jews and the noble rescuers of Jews from the Holocaust who managed to keep the flame of hope alive during the most shameful passage in Lithuania’s history. The Sondeckis family who saved Lithuania’s honor are now forced to defend their own. 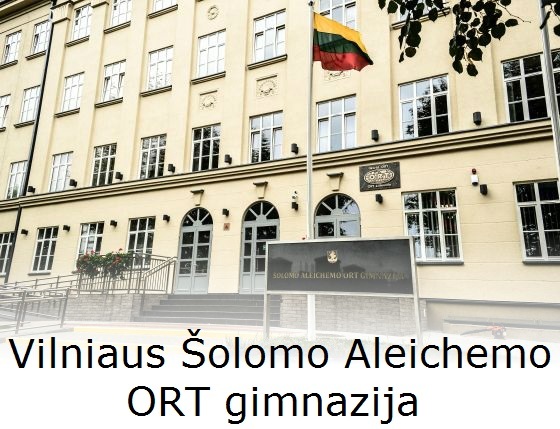 At the start of Lithuania’s 100th birthday celebration, the Center for the Study of the Genocide and Resistance of Residents of the Republic of Lithuania (hereinafter Center) has on their webpage published a journal containing a registry of files on people from the KGB archive. This list includes Saulius Sondeckas, the son of Jackus Sondeckis, a well-known Lithuanian public figure, a member of the independence movement over 100 years ago and a Righteous Gentile who saved Jews. On February 3, 2018, we marked the three-year anniversary of the death of Saulius Sondeckis, a true aristocrat of the spirit who represented Lithuania and put Lithuania on the world map with his exceptional musical talent and noble deeds. That these allegations of possible criminal activity leveled against Saulius Sondeckis, who is now dead and unable to defend himself, and against his family fall on the 100th anniversary of the modern Lithuanian Republic makes graver the circumstances surrounding the charges and increases the harm done to the family who so rightly deserve the honor of the Lithuanian nation for their contributions. This accusation treads upon the title Righteous Gentile and also inflicts damage on the Lithuanian Jewish Community, which considers Saulius Sondeckis an honorary member. 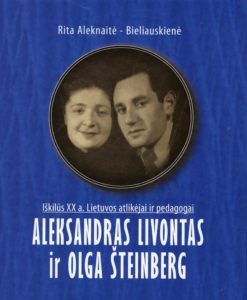 The Lithuanian Jewish Community invites you to a presentation of a book about the famous 20th century Lithuanian performers and teachers Aleksandras Livontas and Olga Šteinberg. The author of the book is cultural expert and professor Dr. Rita Aleknaitė-Bieliauskienė. 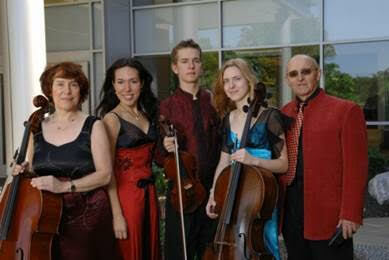 Participants are to include students of Aleksandras Livontas and Olga Šteinberg, including musicians, teachers, national figures and professors: violinist, teacher and doctor of the humanities Dr. Algis Gricius; pianist and teacher Veronika Vitaitė, pianist Aleksandra Žvirblytė, violinist Kristina Domarkienė, violinist Gediminas Dalinkevičius, pianist Povilas Jaraminas and music scholar Vaclovas Juodpusis. The evening will be moderated by Maša Grodnikienė, the initiator and organizer of the Destinies series of discussions, concerts and meetings with remarkable people. 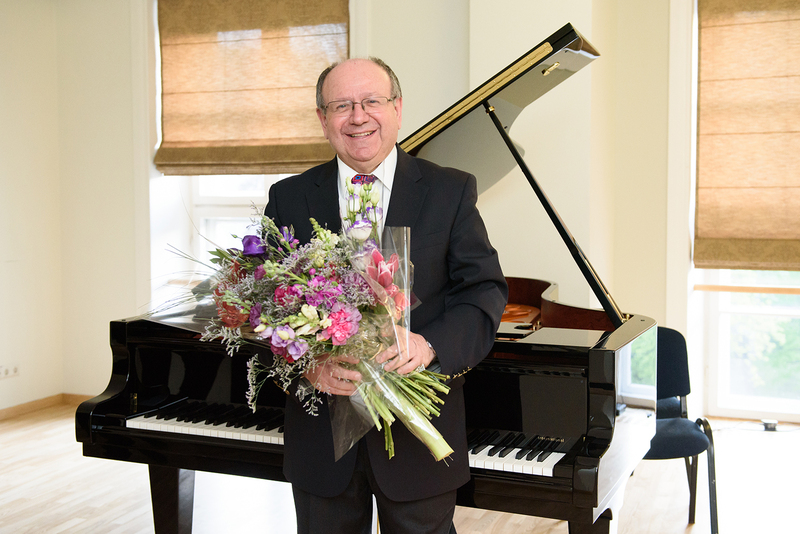 The Destinies program of evening cultural events celebrated the birthday of Lithuanian musician and composer Dr. Leonidas Melnikas last Thursday, May 11. The evening began at the Jascha Heifetz hall at LJC headquarters in Vilnius with the airs of a tango, an overflow crowd and the birthday boy smiling on stage. 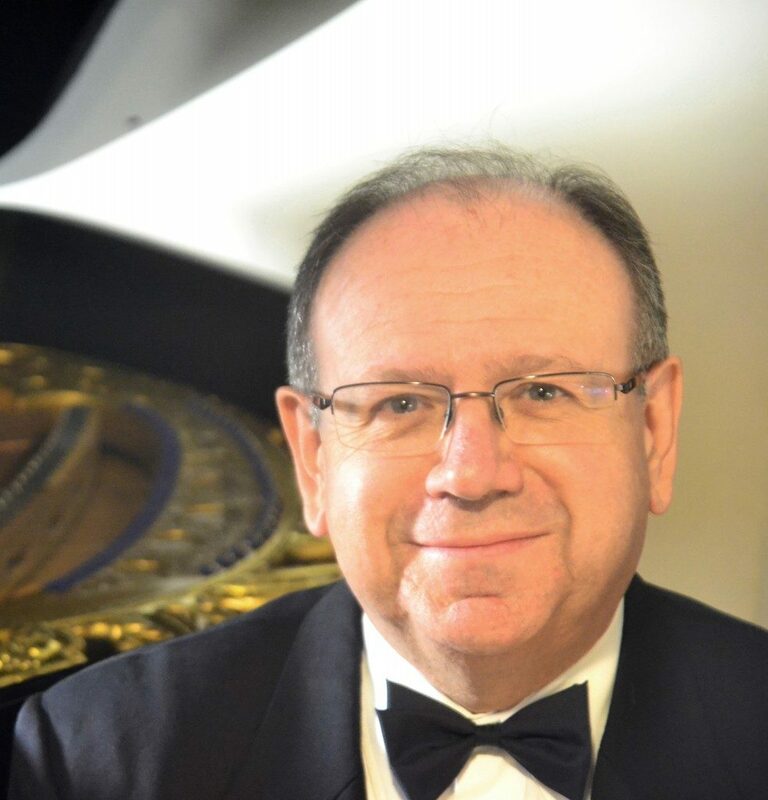 Leonidas Melnikas is a piano player, organ player, musicologist, a tenured doctor, the head of his cathedral at the Lithuanian Academy of Music and Theater, chairman of the academy’s senate and professor. He’s also a member of the board of directors of the Lithuanian Jewish Community. He turned 60 Thursday. The birthday celebration was part of the Destinies program of evening cultural events initiated and organized by LJC deputy chairwoman Maša Grodnikienė, who used the occasion to honor the memory of Melnikas’s father Isaiah Melnik, who would have turned 110 that same day. He was a well-known pharmacist at the Vilnius Central Pharmacy (on what is now Gedimino prospect) and at the Žvėrynas Pharmacy in Vilnius, where he made his own preparations in his time. He survived both Stutthof and Dachau. He was beloved by all and was a calm and warm person who enjoyed attending all sorts of concerts. His son Leonidas’s musical career began when his mother took him to the Ąžuoliukas school. His first teacher was the famous pianist Nadežda Duksdulskaitė. “My entire childhood was illuminated by my parents, the very best, the very wisest people, and family remains extremely important to me,” Melnikas said of himself before embarking on a performance of tango melodies with violinist Boris Traub, cellist Valentinas Kaplūnas and accordion player Gennady Savkov. The organizers of the Destinies series of evening events are pleased to invite you to come celebrate the birthday of professor Leonidas Melnikas at the Lithuanian Jewish Community. Silvija Sondeckienė and composer Audronė Nekrošienė-Žigaitytė, president of the Union of Lithuanian Musicians. 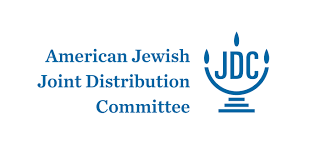 Event planned and moderated by Maša Grodnikienė, deputy chairwoman, Lithuanian Jewish Community. Lithuanian Jewish Community deputy chairwoman Maša Grodnikienė is celebrating her 70th birthday! Maša is the initiator and intellectual force behind many of the cultural events held by the Community and has been deputy chairwoman for over 20 years now. Thanks to her the first World Litvak Congress was held in Vilnius in 2001, marking a turning point within the Community and the renaissance of Litvak culture in Lithuania. Maša has contributed so very much to fostering Litvak culture within the Community and in the world. On the occasion of her birthday, the Community has nothing but the most heart-felt words to say to Maša. We congratulate her on her birthday and wish her the best health, joy at home with her grandchildren, many more creative initiatives in the Jewish Community, a great mood and many more warm moments in life. Happy birthday! The Destinies series of talks will host an evening with the American Virtuosi musical ensemble moderated by professor Leonidas Melnikas. The event will be moderated in Russian and entry is free to the public. 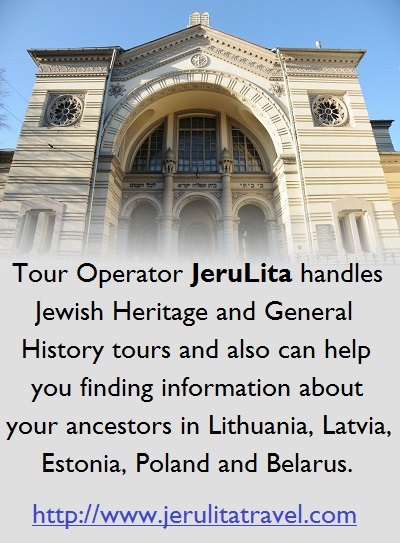 The event will be held at 6:00 P.M. on Tuesday, April 19 at the Lithuanian Jewish Community in Vilnius. The 24th meeting in the Destinies series of seminars and lectures took place at the Lithuanian Jewish Community on February 17, called “Jewish Motifs in the Works of Writer and Art Historian Dr. Kristina Sabaliauskaitė. Teacher and essayist Vytautas Toleikis moderated the meeting and LJC deputy chairwoman Maša Grodnikienė, the organizer, served as MC and introduced Sabaliauskaitė in person to the audience, noting she was very popular outside of Lithuania as well in Poland and Latvia. The conversation during the Destinies meeting revolved around Jewish characters and how the figure of the Jew came to be included in Kristina Sabaliauskaitė’s works in a way very different from the more common portrayal found in Lithuanian literature. Sabaliauskaitė chose the elite person of the doctor Aaron Gordon. This will be the 24th seminar in our series and will be moderated by teacher and essayist Vytautas Toleikis. 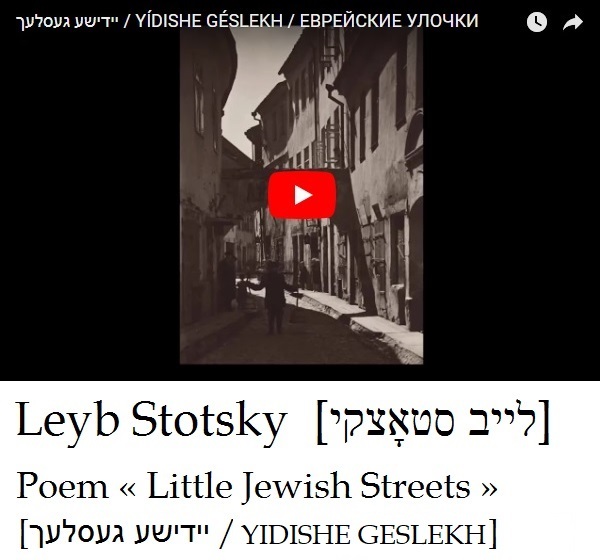 The twenty-second installment of the “Destinies” series regularly organized by Lithuanian Jewish Community deputy chairwoman Maša Grodnikienė featured one of the most famous of contemporary Lithuanian composers, National Prize recipient Anatolijus Šenderovas. 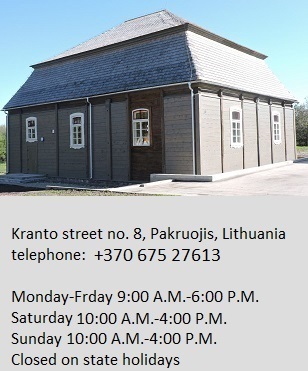 Kamilė Rupeikaitė-Mariniuk, PhD, deputy director of the Vilna Gaon Jewish State Museum and an expert in cantillation and music, led the conversation with the composer. Šenderovas, considered modern composer of unique talent, spoke cheerfully of his life and his musical career. Lithuanians seem quite proud of their composer. His works are performed by many musicians and orchestras, and new variations upon them constantly appear. Many people turned out for the “Destinies” event and left the auditorium inspired by his amazing energy. On May 21, 2015, founder and organizer of the on-going Likimai [Fates] cycle of seminars and deputy chairwoman of the Lithuanian Jewish Community Maša Grodnikienė hosted a public screening of a long-awaited film about famous Lithuanian musician and conductor professor Saulius Sondeckis. The moderator for the event was professor Leonidas Melnikas, who spoke about the concerts conducted by the maestro and his interpretations. Professor Melnikas said this is Lithuania’s musical legacy. The maestro himself thanked his parents for his successful musical career, noting stories of their good deeds circulated by word of mouth: the charity work of his mother, a teacher, to help poor students, and the deeds of his father, the burgermeister of Šiauliai, in saving Jews from the Holocaust. Melnikas said from childhood the future conductor and teacher was sensitive to true human values and led an upright life. The film, lasting more than an hour and a half, features wonderful music, but also brings viewers face to face with Saulius Sondeckis as he speaks, whereas at concerts viewers usually only see the conductor’s back. Also in attendance at the screening were the conductor’s wife Silvija, herself a professor and a wonderful violoncellista, and their son Saulius. 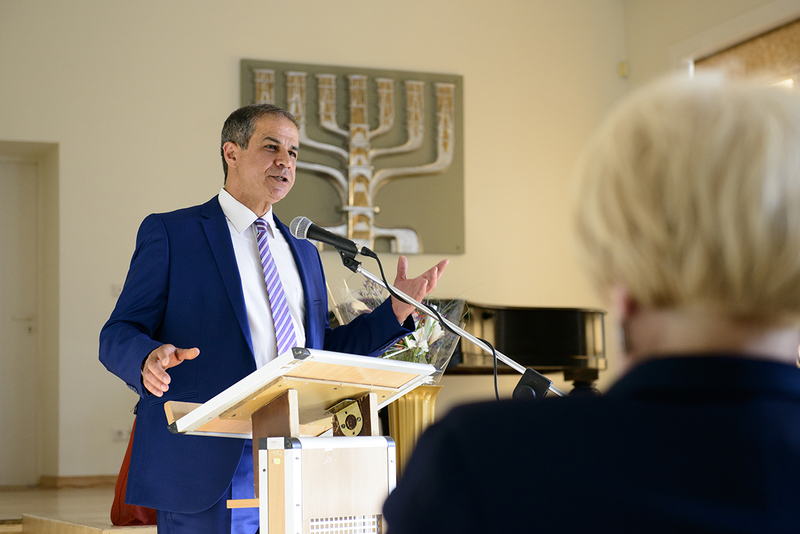 Israel’s first ambassador to Lithuania Amir Maimon was the guest at the 31st meeting of the “Likimai”[Fates] cycle of seminars initiated and organized by Lithuanian Jewish Community deputy chairwoman Maša Grodnikienė on June 9, 2015. The event was billed as an opportunity for LJC members and the general public to get to know ambassador Maimon better. Opening the event, Grodnikienė said it was the first actual meeting of the ambassador with the LJC members, because not all were able to attend the historic opening of the first embassy of the State of Israel in Vilnius earlier this year. Lithuanian Jewish Community chair Faina Kukliansky also delivered a warm-hearted and friendly introduction, but cautioned that the State of Israel and the Lithuanian Jewish Community were two entirely different entities and sometimes held differing positions. Ambassador Maimon beamed confidently at the full third-floor auditorium and said he disagreed with Kuklianksy. He said both the local community and the state were essentially the same thing: the Jewish community. After that he launched into a retelling of his life and career starting with his great-grandparents’ generation and his ancestors who lived in Yemen. His entire talk was marked by a kind of joviality which occasionally manifested as humorous remarks, all of which were faithfully and accurately translated.